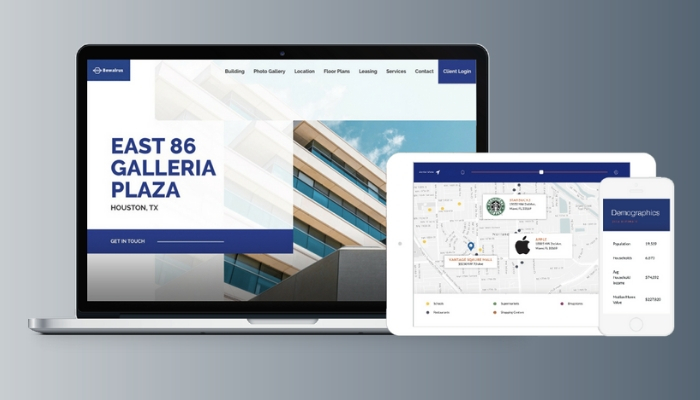 A well designed commercial real estate website for your business and your properties is essential to conveying trust in your brand and your product. Studies indicate that great design drives higher willingness to pay through positive user perception (between an 18% and 41% higher willingness) and individuals with a positive perception of the company’s design have roughly 8% to 12% better net retention. Good web design also affects your search engine optimization and the likelihood of someone discovering your commercial real estate business online. 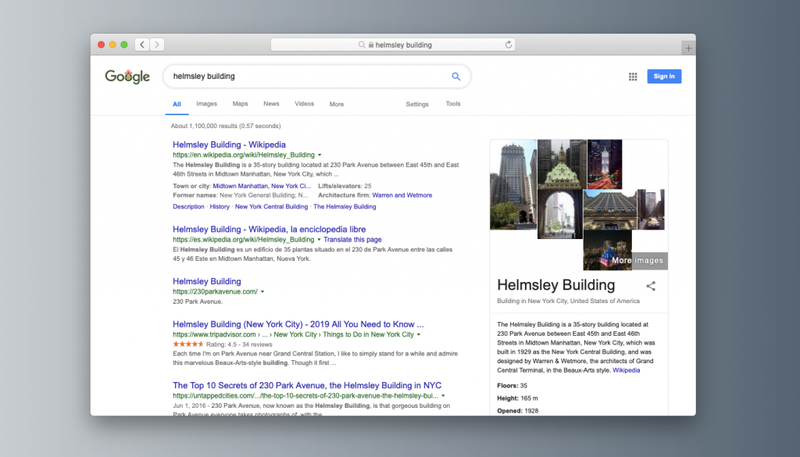 The more organized the information on your commercial property websites are and the more “best practices” they follow, the more it impacts your website’s ranking on search engines. Your property website is also the main hub to display all the relevant information and a key ingredient in making a critical first impression, giving you credibility, and helping you (directly or indirectly) generate new prospects. With the competitive landscape getting tougher and tougher, just having a microsite or a basic online listing is not enough. So, how do you stand out from the competition? Below is a breakdown on the key elements of a property website that will help capture interest, increase user engagement and help you generate leads for your commercial real estate listings. 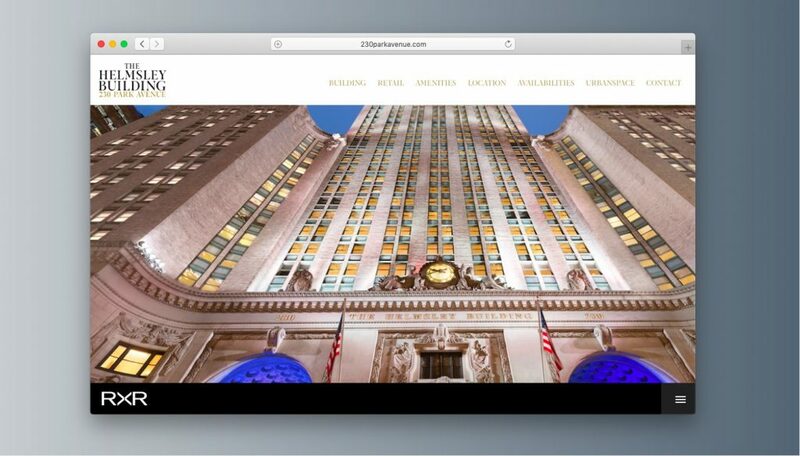 Need your own commercial real estate website? Click here to learn about our commercial real estate website design. 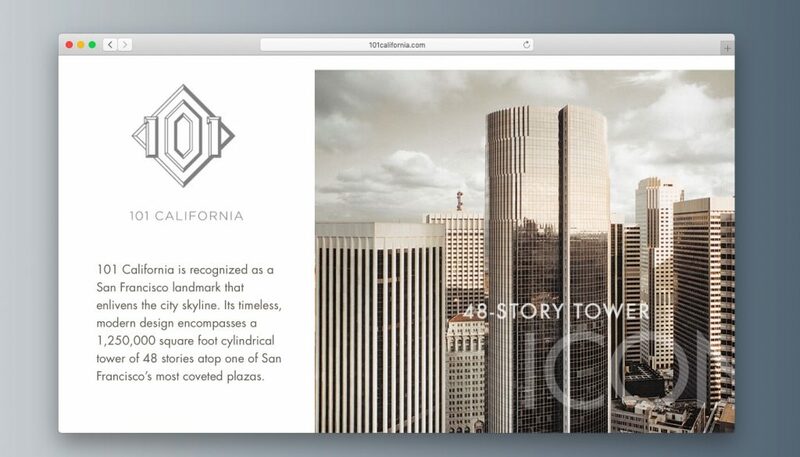 More than ever, commercial real estate website design needs to be functional and concise. User experience is about more than aesthetics. It’s about ensuring quick and easy access to information, minimal gaps in navigation to find what you need, and clear, easy to read and understand copy. Visitors won’t spend more than 2 minutes on your website, so you need to capture their attention quickly. If you’re also able to capture their information, even better. With nearly 60% of tenants and investors starting their searches online and more than half of the using mobile devices for those searches, it’s also vital that your website not only works but looks great on all size screens. Responsive design – Your website should load seamlessly on all screen sizes, mobile-phone and tablet friendly navigation, and no pinch-zooming required to view your information. Browser compatibility – Your website should work smoothly on all browser versions you can reasonably expect your prospects to use. That means a spectrum of browsers going back 5-7 years. Accessible navigation – Every section of your website should be accessible from no more than three clicks if possible. Don’t bury useful information five or six clicks deep on the site, and wonder why people don’t convert on those pages. Expectations have evolved in the last few years to where people won’t put up with poor design, frustrating navigation, or inconsistent layouts. If it’s hard to find what they need, they’ll leave and go to another site. 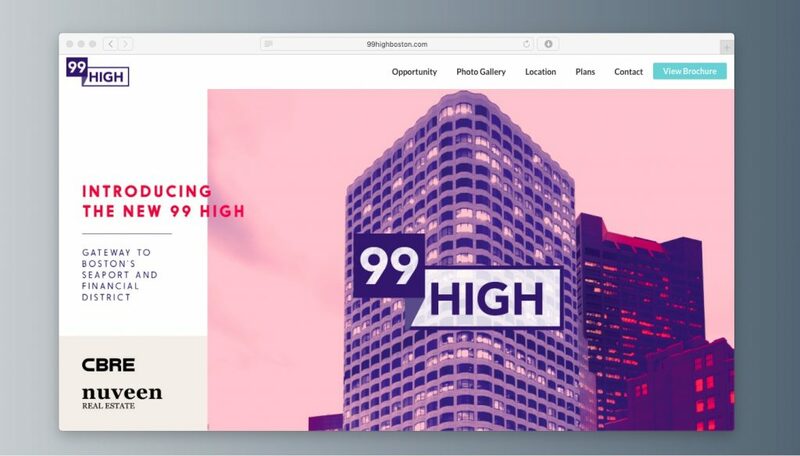 Commercial real estate website templates can provide a solution to that with structured information, cutting edge design and a excellent user experience. Load time: Check your site with Google Page Insights for load time. It should have a score of 80 or higher, meaning it loads quickly on all device tips. Test everything: Take the time to click on every single link of your website, or use a site like UserTesting.com to have other people check for hiccups in usability. Optimize for search indexing: Setup a Google Webmaster Tools account to check when your content gets indexed and submit new content as needed for indexing. The most straightforward way to advertise properties is with photos. Having a striking selection of professional images on a real-estate listing is pretty fundamental. Your main image should be bold, high-res and attention-grabbing (on mobile & desktop). Don’t trip over by using headline images that don’t show off the space at its absolute best. However, remember that large images can slow down webpages. If your image is on the heavy side then remember to reduce its size without reducing quality using free compression tools like Kraken.io. Spend some time searching and viewing local buildings in your market to see how they present themselves. New technologies, like virtual tours, are promising but it’d be naïve to overlook the impact of the humble property description, which is still what the majority of people examine (alongside images) when deciding whether to enquire or not. But it’s not necessarily new vs. old. In fact, why not combine great descriptions, and great images, tours, SEO, floor plans, and all the other emerging stuff that’s also in this post. You’d then have a great commercial real estate website. Stick to 150 words; brevity is beautiful! The website for 101 California in San Francisco does a perfect job of providing key information in a short and clear description, highlighting key statistics without over explaining. It’s short, succinct, and heavily visual. Location is arguably the most important factor in real estate, so why explain an area in a few hundred words when you can do the same intuitively with a map? It’s not just the physical location of a commercial real estate property that’s important but also the amenities nearby: bars, restaurants, banks, transport links, and other services. Even better if you can pick those out too. There are a few ways to implement maps on a website. Embedding Google Maps using iframes is a basic option but you’ll have to do some technical tweaks to customize your map so it’s branded, and contains the extra pins and information on the surroundings. 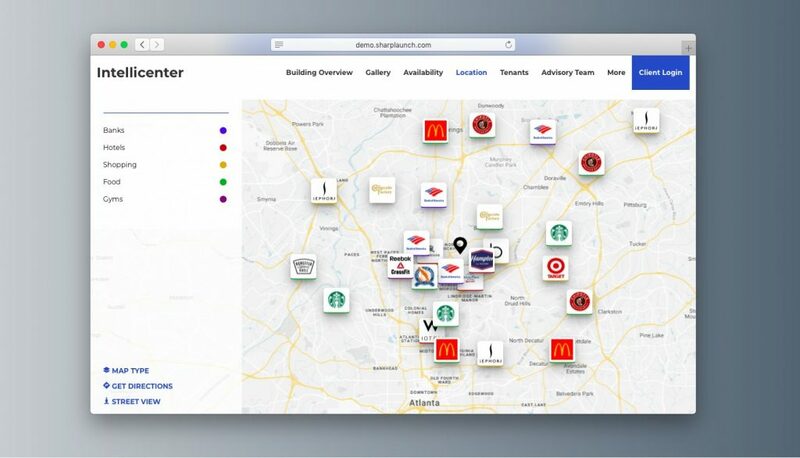 SharpLaunch integrates maps and amenities as part of its fully-featured digital marketing platform. People are central to today’s social web. If you don’t show the faces behind your organization it can almost look suspicious. On the other hand, if you emphasize the human side to your commercial real estate company, it’s an attractive point for prospects who want to get in touch. There are practical benefits to using social technologies that allow easier online communication, like instant ‘chat with us now’ widgets. If you help customers to get the information they need right away, it’ll reduce the chance that they’ll bounce off your page and onto a competitor’s nice, human-looking page. The 321Harrison property website is a prime example of how to present your brokerage team in a clean, succinct way. 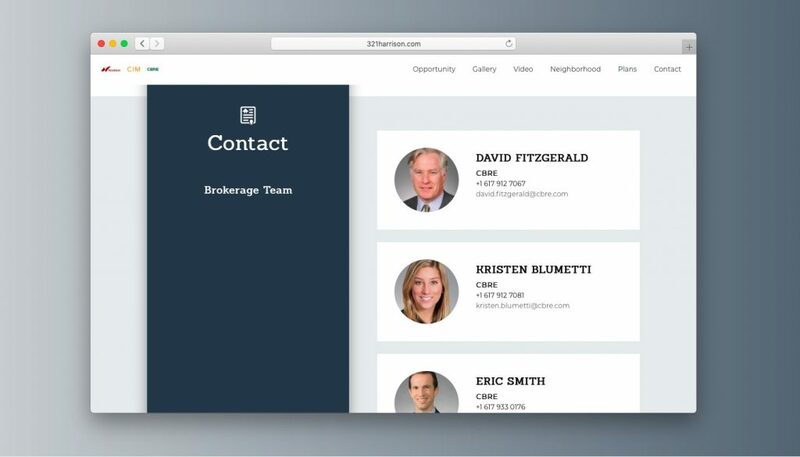 Each broker is featured with a headshot and contact information, allowing for a profile of the brokerage and accessibility to the key stakeholders. A floor plan helps customers to get to know your property’s layout a little better, and then keep it in mind. While often overlooked, floor plans do a pretty good job of piquing the interest of potential tenants. We always recommend to our clients that they include a PDF of every floor plan that is available in their building so people can download it and stay engaged with the property. How you draft them is up to you but technologies like Google’s MapsIndoors allow floor plans to be created at no extra cost – and they can then be made easily accessible online. 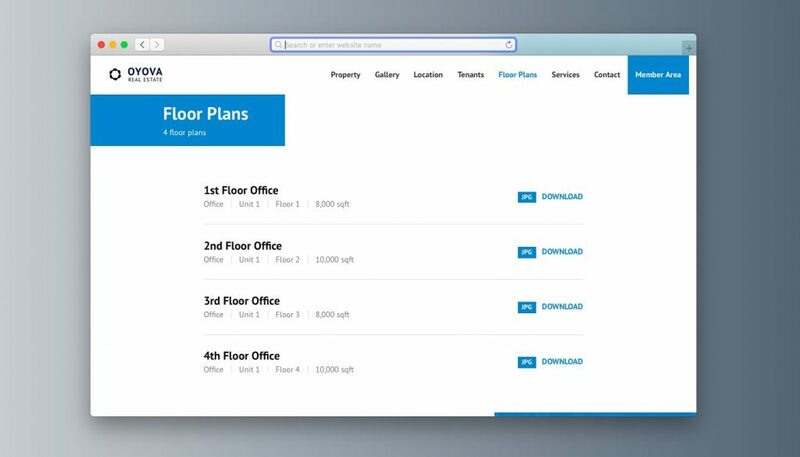 Downloadable floor plans are a key feature of SharpLaunch. Google MapsIndoors are also an option to create and host this information online. When people look for real estate they often use search engines. So ‘SEO’ is a set of techniques to lift a website’s search results and get targeted traffic. It’s a pretty complicated area – books have been written on it – but there are are a couple of key aspects that you need to sort out to appear to more people. The page title’s the blue text that you’ll normally see in the search results and it’s one of the most important elements that search engine algorithms analyze when choosing pages. And to appear for a given search, keywords that closely match the search most normally be in the page title. Great titles and descriptions, together, can make a big difference to website traffic – and ultimately sales and leads. But remember that SEO is supplementary to having great content on your website after people get there. Length: Stick to 60 characters for the page title and 150 for the description – this will normally keep within the display limits. Format: Try and write in a natural way, while including search terms within the page title and attractive details like offers in the description. Writing like this will help your result to stand out by being more attractive to viewers who (it must be remembered) will look at the page title alongside Google, too. For property websites – Domain: Whenever possible, make sure the name of your building or its address are included in the domain name. This helps with exact match searches in Google, and can amplify your local search result standings. 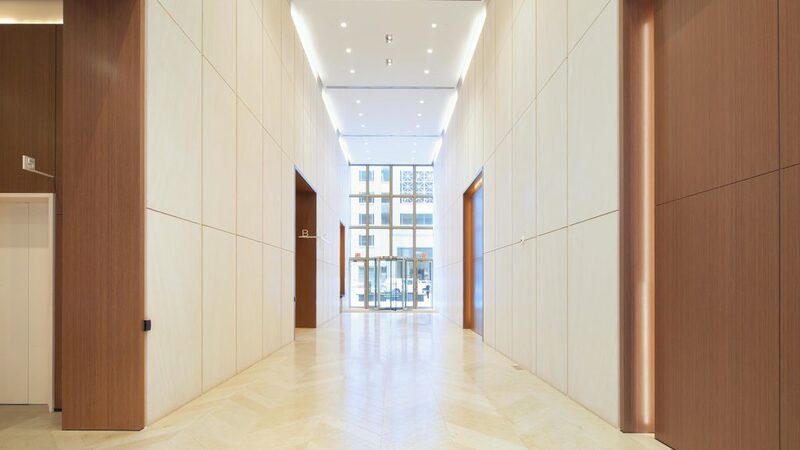 Check out the Helmsley Building at 230 Park Avenue example below. HTML characters: the odd non-standard character, used judiciously, can help your page or listing to stand out from the rest of the results. The example below from Realtor.com, uses the registered trademark symbol to cut a bit of a distinction. There are plenty of HTML symbols to select but be careful as Google sometimes objects. Research: Don’t aim for big, ‘prestige’ search terms – they’re usually competitive and it can be a case of banging your head against a brick wall. Find less competitive terms and niches that will still get relevant traffic (e.g. by adding the physical address or dates and years). It’s a bit of a cliché but consistently, and persistently, producing thoughtful blog posts (and visual content like infographics) will eventually payoff in the commercial real estate sector. Great content attracts links, shares and coverage – all of which can push up search rankings, attract relevant traffic, and raise brand awareness. Thought leadership, through content, is a great way to demonstrate brand values and show customers that your commercial real estate company stands for what you say it does. If you understand how prospective customers use your site – and their personas / psychology – then you can begin to shape content that also leads to conversions. A nod goes back to the previous point in this piece; analytics is integral to a blog and content strategy. It helps to shape the ongoing plan, as you see what’s working (or not) and how users interact with your key topics and themes. 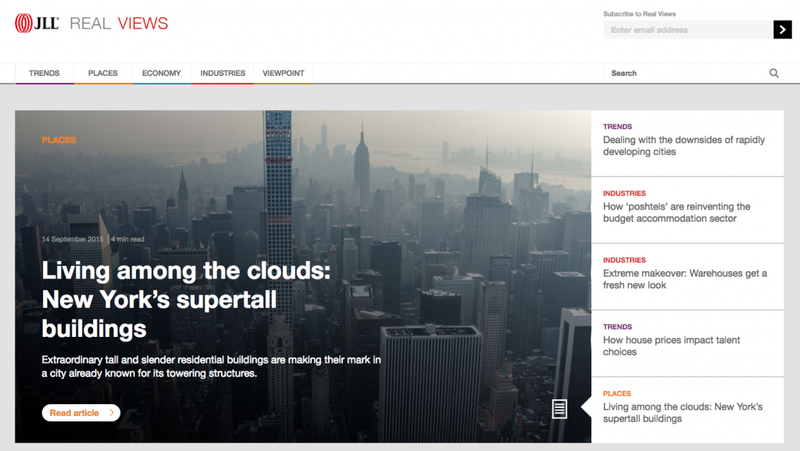 JLL’s Real Views is a real estate news hub focusing on analysis, opinion, and research from JLL about the real estate sector and larger business community. This industry-specific focus, combined with relevant expertise in key verticals, allows them to rank for several important terms in their industry and drive references from other sites. 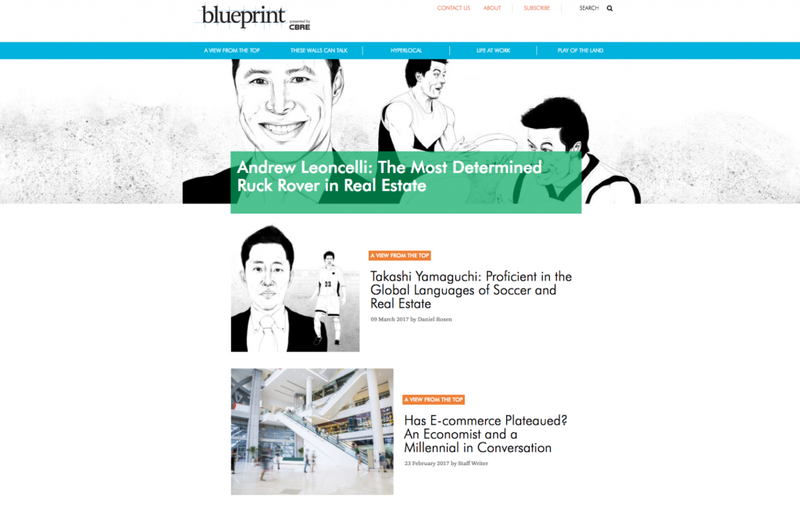 CBRE publishes their Blueprint online magazine, focused on interviews and stories about how real estate impacts the world. These stories highlight key individuals in the space, building stronger connections and generating long term relationships that benefit them both directly and indirectly through search traffic. If you analyze and measure your website’s traffic, and make your site better for it – you stand a good chance of getting more visits, from more relevant sources. Google Analytics is free, easy to use, and the most popular analytics platform. You’d be mad (or at least less successful online) not to take advantage of the detailed information it can reveal. You can start with traffic totals, get a bit more detailed with the number of leads from exact sources or listings, and even go so far as looking at flow visualizations of website sessions, below, to examine usability. Google’s platform isn’t the only option but you should at least have your website backed by analytics of some kind if you’re not using it. Another handy way to use marketing analytics is to understand your best performing content to refine your content strategy as you go along (see next point). SharpLaunch allows you to track your properties’ performance in real-time. Virtual tours are by no means new. Technology has existed in one form or another to create walkthroughs and virtual views of properties for more than a decade, but it’s never been particularly accessible or intuitive. Today, tenants and investors who aren’t able to visit a property in person but find images ineffective at fully projecting the nuances of the space, are looking for virtual tours to fill this gap. 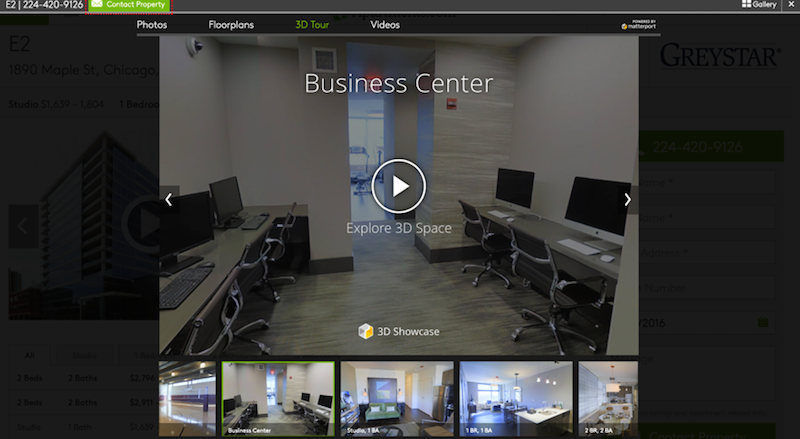 While virtual tours are not particularly common yet, the technology is advancing rapidly, as Google Street View, Matterport, and Floored have developed into viable and accessible solutions. The potential for virtual tours as a resource for CRE companies only grew with the increasing adoption of VR technology as well. Virtual reality walkthroughs on headsets like the Oculus Rift, or even a Samsung Galaxy phone will expand your ability to engage with remote customers, showcasing properties to a much wider audience, including completed construction projects. See below a virtual walkthrough the Spaces Co-working office. From my experience, the best real estate websites are those which are streamlined, organized and user-friendly. So, these are the things real estate website owners should strive for! Agree! Thanks for your comment! Really Very Very Useful and in detailed you have mentioned everything with tips. Thanks for sharing this, Very Useful. The below website – i think somehow matches some of your highlighted points for a good real estate website design. Like you, we prioritise our web presence and it has paid huge dividends, not only in daily enquiries but also, over a long period of time, in brand recognition. Property marketing is a whole level up from legal in terms of the importance of visual assets and analytics but even for traditional professional services, being dynamic on teh web is now essential for success. The other thing that many do not realise, ina world moving ever faster, is that most visitors spend less than 2 minutes on any web page – so if information is not clear, visual and attractive, it’s almost pointless producing it! Thanks for your comment James! Appreciate it! Want to Build a Great Commercial Real Estate Website?